Did you know that a wet scrubber system can help lower the risk of a dust explosion? 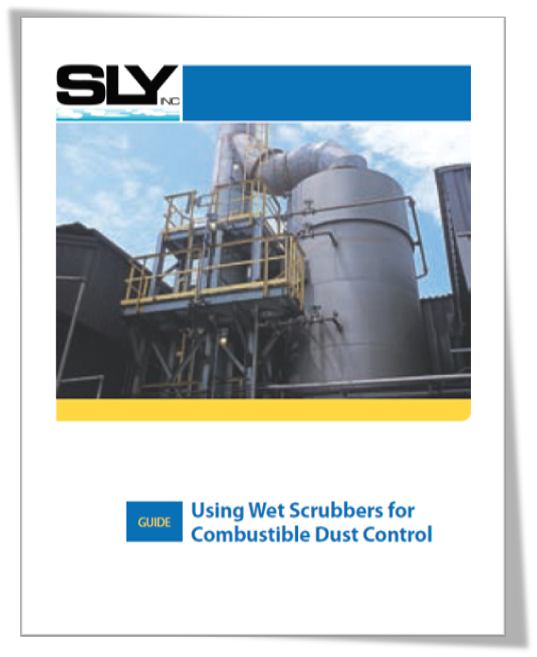 Our new guide, Using Wet Scrubbers for Combustible Dust Control, can help you decide if a wet scrubber is the right solution. The process of designing a system requires a comprehensive look at all of the specifics of the application and environmental requirements. 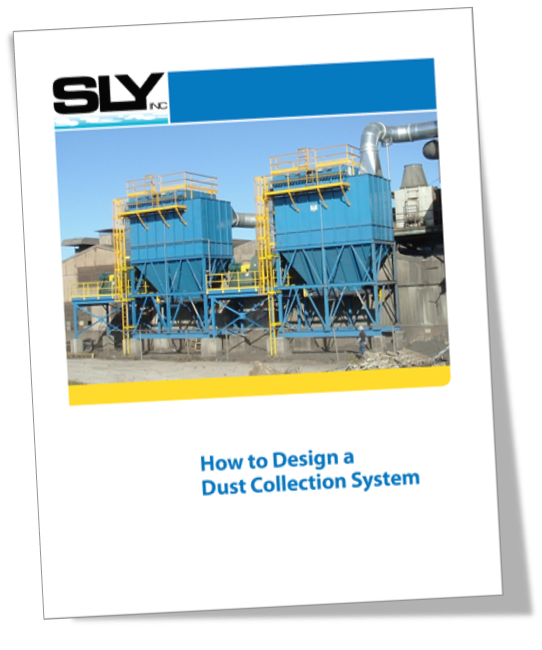 Our guide, How to Design a Dust Collection System, provides a summary of the factors you need to consider. When it comes to Venturi scrubbers, the simple fact is that these systems work due to the laws of physics. 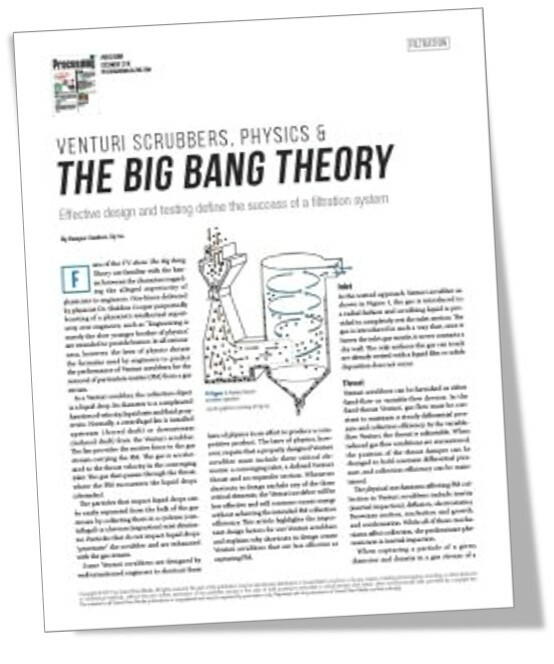 In our white paper, Wet Scrubbers, Physics & The Big Bang Theory, you'll learn the process and physics at work. 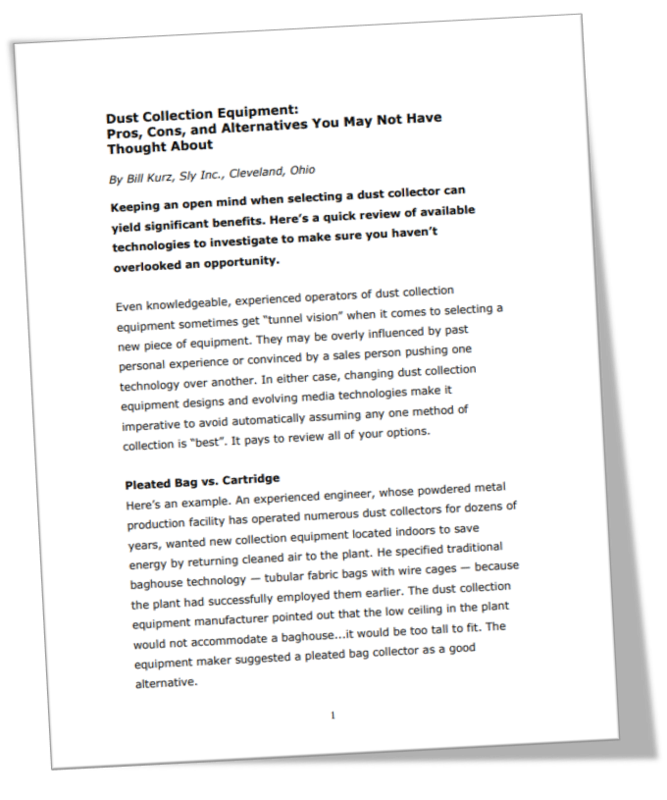 Dust collections technologies advance, so it makes sense for you to consider your options when it comes to your specific needs. 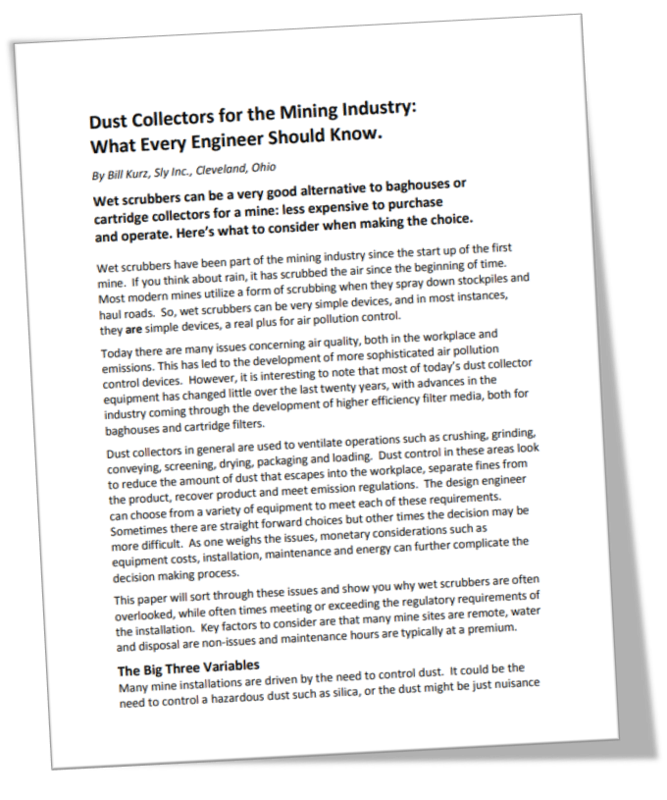 We've compiled our expertise into this white paper to help you with some of the available solutions, including considerations and key factors for answering your dust collection questions. 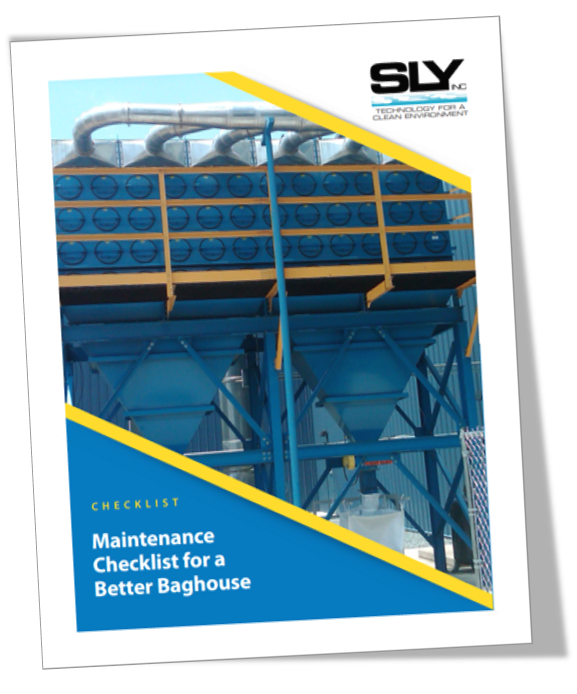 Wet scrubbers can be a better option for the mining industry than baghouses or cartridge collectors. They're less expensive to purchase and operate. However, there are variables that you need to know to determine if a wet or dry system is your best bet. Download our white paper to learn more. Bulk material drying applications require high temperatures that can cause moisture in the exhaust gas. This water vapor can accumulate and condense inside your pulse-jet baghouse...causing a number of problems. 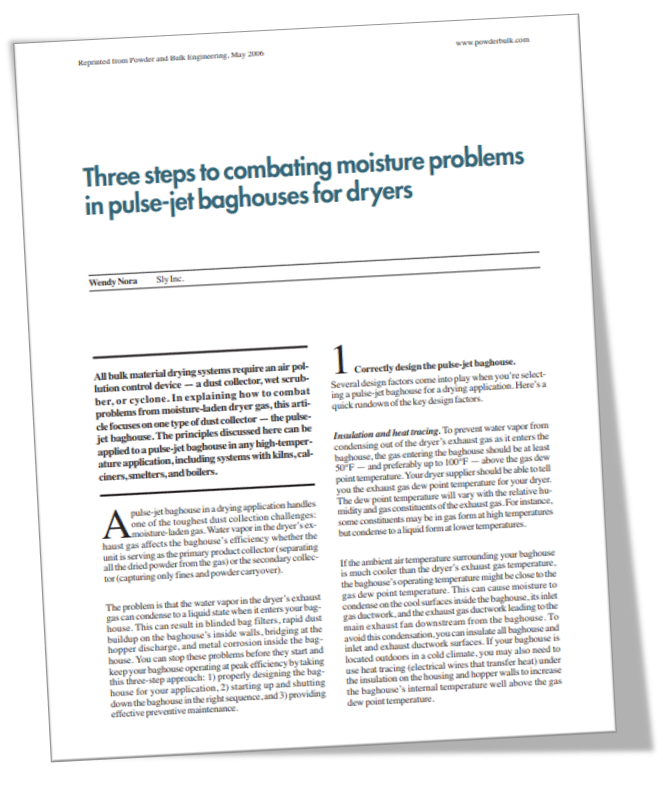 We've created a white paper that offers three steps to combat moisture problems in your pulse-jet baghouses. 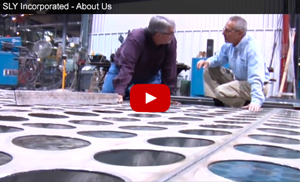 Wet Scrubbers for Dry Dust? Absolutely. When most of us think of dust collection, we assume dry solutions. But, wet scrubbers are another option that remove, clean or “scrub” contaminants from an air stream using a scrubbing fluid or solution. They are not only effective, but are the better option for certain applications. 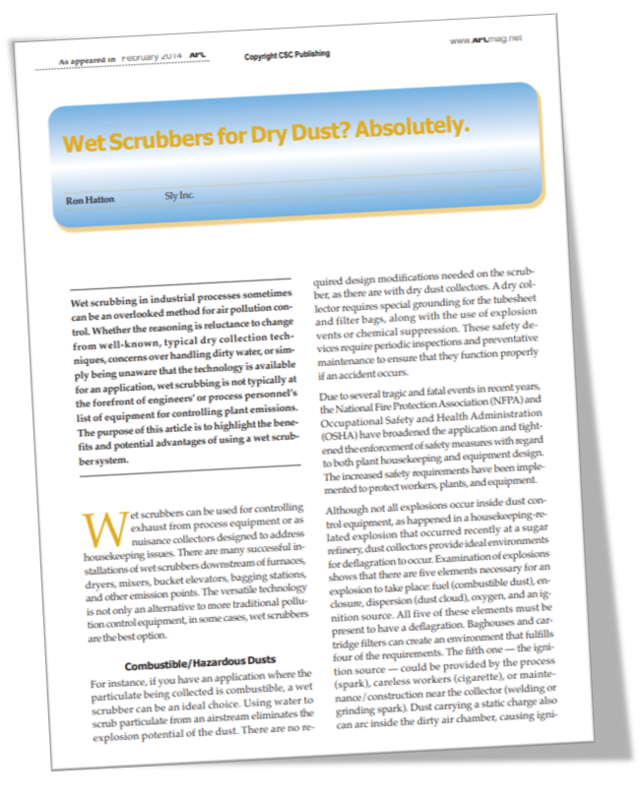 We've created a white paper that offers what you need to know about wet scrubbers.